As Next Generation Science Standards are implemented in classrooms nationwide, students are beginning to think like scientists as young as kindergarten, paving the way for years of experimentation, exploration and thinking their way through processes. 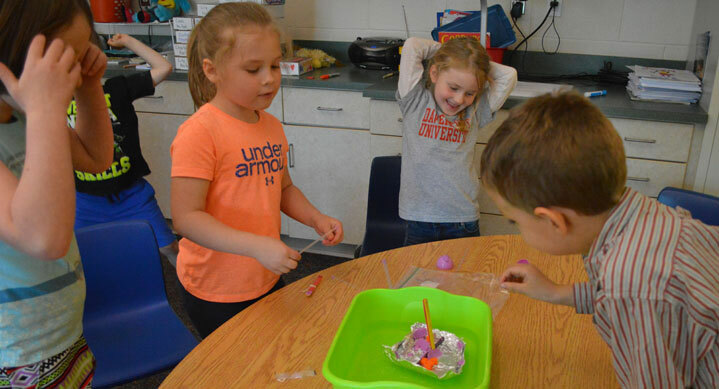 In a Brown Elementary School classroom, kindergartners had five minutes to discuss in teams how to make a boat that would float for one minute, despite being weighed down with five tiny blocks. They could use tin foil, Play-Doh, four rubber bands, four straws, six sticks, but nothing else. 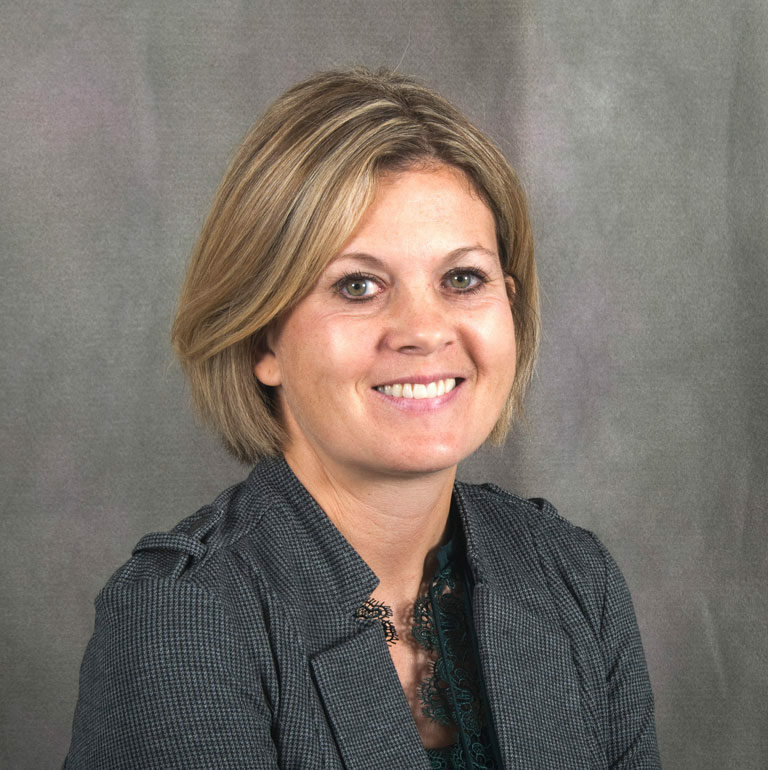 “You’re going to brainstorm ideas about what you’re going to do,” teacher Tracy Ferguson told the class. “We don’t have glue, but we have Play-Doh,” responded classmate Grayce Leatherman. The activity tied in with the NGSS standards being woven into the curriculum nationwide. 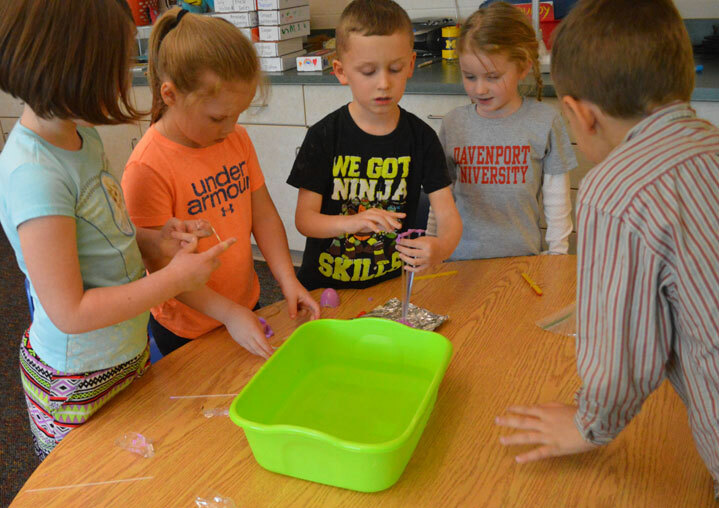 The kindergarten through 12th-grade standards build on each other after introducing students to the inquiry-based methods in early childhood education. The little ones, sometimes teary-eyed and other times smiling in victory, must learn team work, to keep trying after a failure, and to dig deep to solve problems, said Ferguson, who spends 30 minutes a week engaging her kindergartners in science, technology, engineering and math activities. 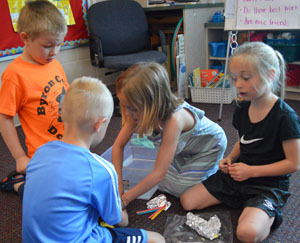 The former second-grade teacher previously guided older students in STEM activities. “I thought, there’s no way kindergartners can do this, but once I saw the NGSS I said, ‘OK we’re going to try,'” Ferguson recalled. “They just amaze me every week they come up with these ideas, and sometimes we succeed and sometimes we fail, and that’s all right,” he said. Brown Principal Barb Johnson said the activities are a way to start introducing NGSS by building up inquiry-based science skills. “Every grade has lessons like this to start the journey,” she said.